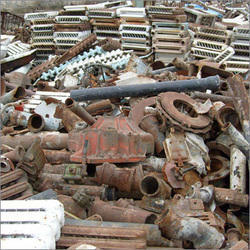 We are leading importers of quality Cast Iron Scraps that finds wide application in several industries. It is a ferrous alloy with high grade of carbon that consist of gray iron, ductile iron, and white cast iron grades. Our streamlined operations enable us in offering our products at most reasonable prices. We regularly buy various types of chargeable, breakable cast iron scrap consisting of clean motor blocks, clean drained engine blocks etc. (9) Bolsters and/or Truck Sides, Frames: Uncut. (11) Cast Steel, No. 2. Hi Everyone, This is Priya Raheja from Latino Traders. 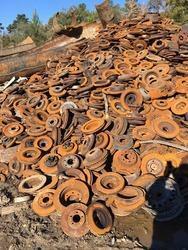 We have stock of the below Pig Iron Scrap which is used for making steel coils. pls, find the below details for your reference. We are dealt in all types of c i scrap of machinery and railways c i scrap at very attractive prices . Owing to our affluent industry acquaintance, we present Cast Iron Scrap. In addition, experts check these products on diverse industry parameters to ensure the sturdy nature. We are one of the reputed organizations engaged in offering our clients a wide range of Cast Iron Scrap. These are highly durable and long-lasting.